The critics have spoken. Get ready to be charmed, mesmerized, enchanted by The Leela Puppet Theatre! 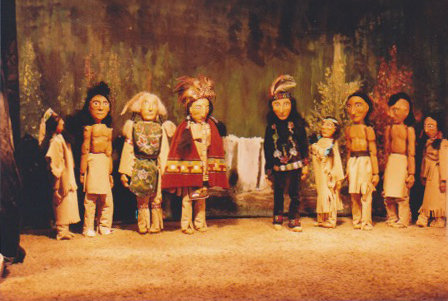 Bringing to life the world's most unusual and profound stories ever told through the magic of marionettes! "Outrageous! Blasphemy! The allegory of allegories!" Prepare to be totally enthralled and utterly amazed by great feats and phantasmagoric tales embedded with ancient allegorical philosophy! "Truly one of the most amazing traveling circuses in the world!" Gypsies, snake charmers, sword swallowers, jugglers, the Great Shish of Kabob, tightrope walkers- you'll find the most astounding marionette performers ever to captivate an audience! 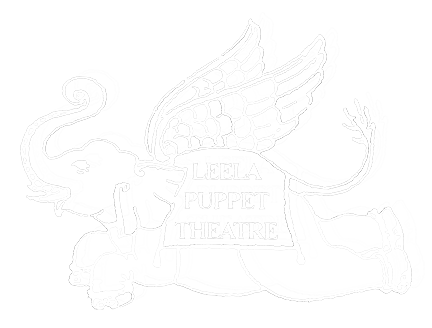 "A hilarious and thrilling tale..."
You never know what you may encounter at The Leela Puppet Theatre- Perhaps a medieval highway robbery complete with shining knights, wayward monks, and a riveting joust to the death? Or the inimitable Mulla Nasrudin, celebrated Sufi wise man from Persia, laughed at for his profound antics while dispensing wisdom with his own brand of folly! The Leela Puppet Theatre is available for private parties and events!